Separate dough into 8 biscuits. Cut slit on 1 side of each biscuit, forming a deep pocket. Place 1 slice of cheese into each pocket. Top cheese with 6 or 7 pepperoni slices. Press dough around edge to seal each biscuit. Place 1 biscuit on center of waffle maker. Close lid; cook 3 minutes or until waffle is golden brown. Repeat with remaining filled biscuits. Serve with pizza sauce. Try making them supreme pizza waffles by adding veggies and ham! Instead of pizza sauce, dunk them in ranch dressing! 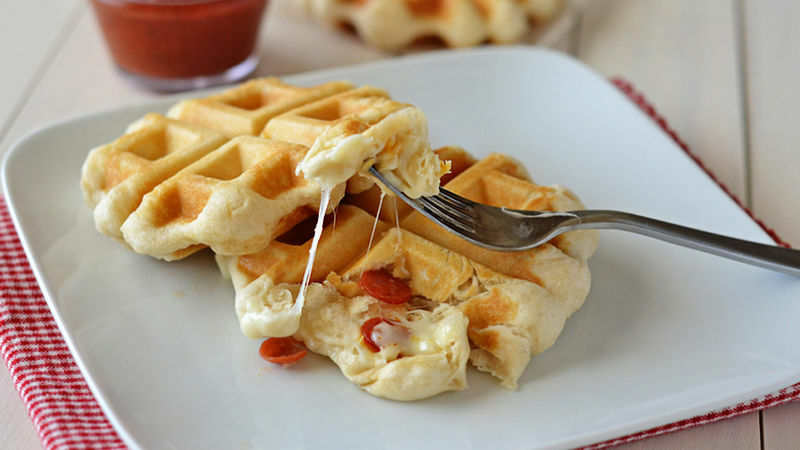 Attention: We made pizza waffles, and it is genius. That’s right, waffles aren’t just for breakfast anymore, thanks to this insanely delicious four-ingredient recipe! 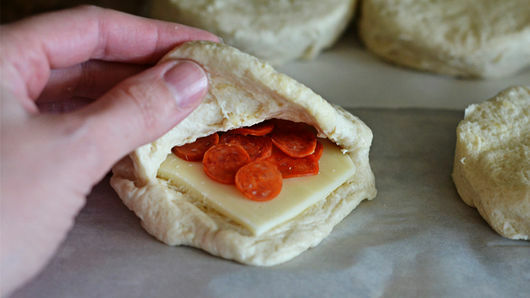 Stuff biscuit dough with your favorite pizza ingredients like pepperoni, mozzarella and pizza sauce and cook on a waffle maker for just three minutes and you’ll have a seriously yummy snack. 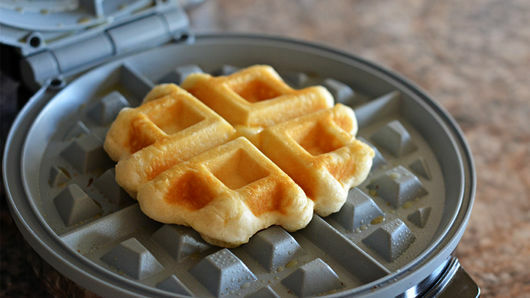 We used a Belgian waffle maker for this recipe, and that’s what we recommend you use too. Don’t forget to spray the pan before cooking each waffle. This will ensure they don’t stick to the waffle maker. Is this waffle pizza the snack of your dreams? We have even more creative takes on pizza for you to browse. Of course, there’s nothing like a classic slice of pizza, and we have all the best recipes and tips you need to make a great pie every time.